11th May. By admin. Posted in 365 Things. 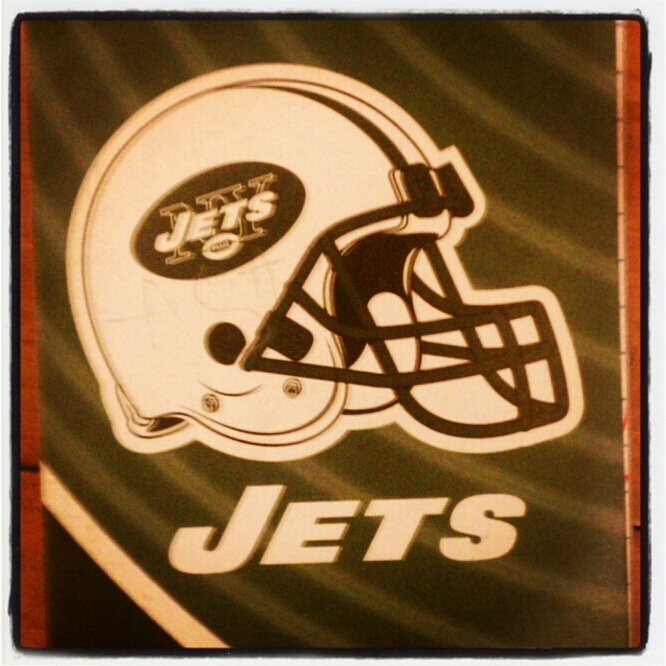 NY Jets season tickets, held by my family since 1986. Although mostly a financial decision (I’m pretty broke these days), the first strike against the organization came with their move to the new stadium and the introduction of the PSL. With that, my family was thrust upward and out of the seats we held since I was 11. 3rd row seats in section 129, where other fans in that section watched Eric and I grow up, and friendships formed. But the business of the NFL won out over loyalty and we were relocated to section 320 of the new stadium, a decision I made not to pay a PSL ($15,000 per seat if we wanted to stay in the same place, which at the time would have meant $60,000). Do I feel cheated- yes. Do I understand that this is how business works- yes. Over the last few years at the Meadowlands I knew change was brewing as the demographic of the stadium changed from less die-hard fans to endless faces of newcomers with big wallets, scooping up tickets that loyal fans couldn’t afford or were getting rid of because the team was so mediocre. So I held on as long as I could. I’d love to continue the family tradition, taking Deana and the girls into a section of friends who would watch them grow up and who knows….they might even see a Super Bowl. But there is no section that I call home anymore- I’ve changed seat location every year in the new stadium, vying for something closer to the action, but still PSL-free. And now there are no more tickets. Eric dropped out a couple of years ago, and Chris and I picked up the slack, eventually giving up two of the four seats because it was hard to sell the extras. So a few months ago Chris and I decided that we would not renew the tickets. This was the end of the run. I’ll take so many memories from my days and nights at Jets games, and I’ve been fortunate to watch some amazing players- Jets and their opponents- but Sundays will mean something different now. There will be a palpable emotional shift come September, and like all change I will adjust and move on. I’m grateful and fortunate to have had over 25 years of live NFL action. I do wish to become a season ticket holder again, but there are many years between that decision and now. Thank you NY Jets. Now go out there and win a damn Super Bowl.